Erie, MI (December 3, 2018) – Engine Pro Sprints On Dirt presented by ARP returns to the always exciting Hartford Speedway for four Friday races in 2019. 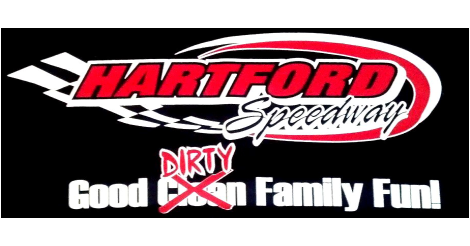 The first SOD race at Hartford is on May 17, followed by June 28, July 26, and August 30. The SOD races at Hartford Speedway have been a big hit for years. Speedway owner/promoter Tim Dibble’s reconfiguration of the track before the 2017 season has proven to be popular with competitors and fans, proving to be a perfect match for SOD’s “beyond limits” format. After suffering two rain outs to start the 2018 Hartford King Engine Bearings King of Michigan series first race was finally run on July 6 with Ryan Ruhl (Coldwater, MI) taking the win over 2018 SOD Champ Chad Blonde (Litchfield, MI) and Gregg Dalman (Bellevue, MI). Blonde won on July 13 over 2017 SOD Champ Steve Irwin (Fenton, MI) and Shawn Valenti (Fostoria, OH). Blonde also picked up the win over Chase Ridenour (Perry, MI) and Gregg Dalman on July 27. Following a third rain out on August 10, the King Engine Bearings KoM Championship was run on August 31. Blonde continued his mastery of the speedway, winning over Ryan Ruhl by 0.177 seconds with Quentin Blonde (Litchfield, MI) finishing third. For the second consecutive year, Chad Blonde drove Sean Robinson’s Krieger-powered Maxim to the Engine Pro Sprints On Dirt presented by ARP King Engine Bearings King of Michigan championship over Shawn Valenti, Jay Steinebach (Hudsonville, MI), Dustin Shriver (Niles, MI), and Ricky Ferkel (Mt. Pleasant, MI). Check out Hartford Speedway on Facebook at https://goo.gl/hktj3Sand its website at www.hartfordspeedway.net. 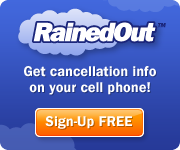 To learn more about Engine Pro, go to www.enginepro.com. For more information about ARP, go to www.arp-bolts.com. Follow SOD at www.sprintsondirt.com and the Sprints On Dirt Facebook page at www.facebook.com/sprintsondirt/. This entry was posted on December 3, 2018 at 12:54 pm and is filed under Uncategorized. You can follow any responses to this entry through the RSS 2.0 feed.